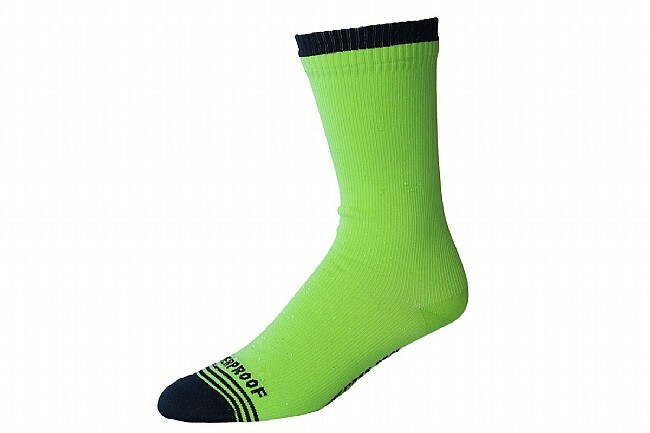 Keep feet dry without sacrificing breathability with the Crosspoint Waterproof Hi-Viz Crew Socks. 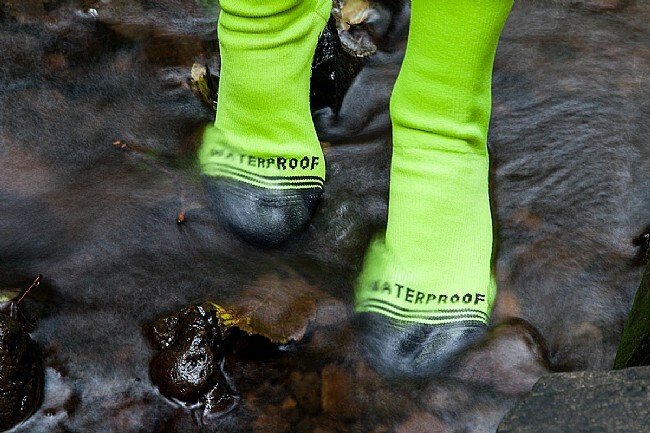 Made with three layers specific layers, these socks strike the perfect balance of waterproofness and breathability. The outer layer blocks wind and is wear resistant for warmth and long life, while the inner layer, made from Coolmax FX fabric, is antibacterial and moisture wicking. Sandwiched in the middle is an Artex™ waterproof-breathable membrane that stops water from coming in while simultaneously allowing moisture to escape from inside. 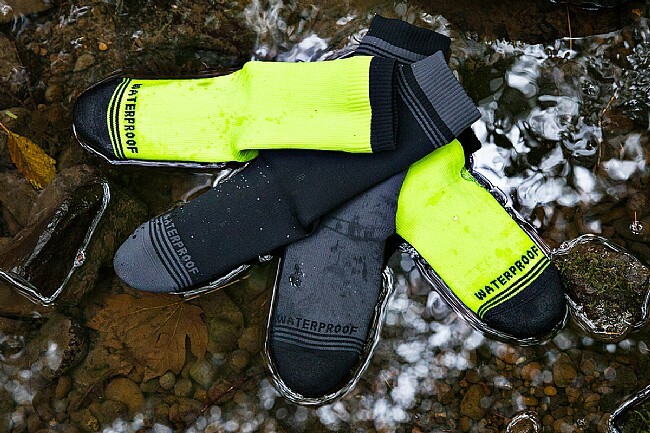 Showers Pass says these provide all the benefits of traditional booties without the added bulk, so grab a pair (or several) for the next wet commute, training ride, or race day. Small / Medium: 37 – 40. Medium / Large: 40 – 44. Large / X-Large: 44 – 46.